The program records audio directly to the following formats: CAF, M4A, WAV and ALAC. The program allows the user to set the output format, the quality, the sample-rate, and the number of audio channels to apply on recorded audio files. Plus all recording controls are automatic so you can record, pause, resume, stop, and the state of the buttons get disabled according to what you are doing so you can't go wrong. The program is very simple with a real-time audio analysis graphic that brings important visual feedback to the user regarding audio volume and responsiveness. 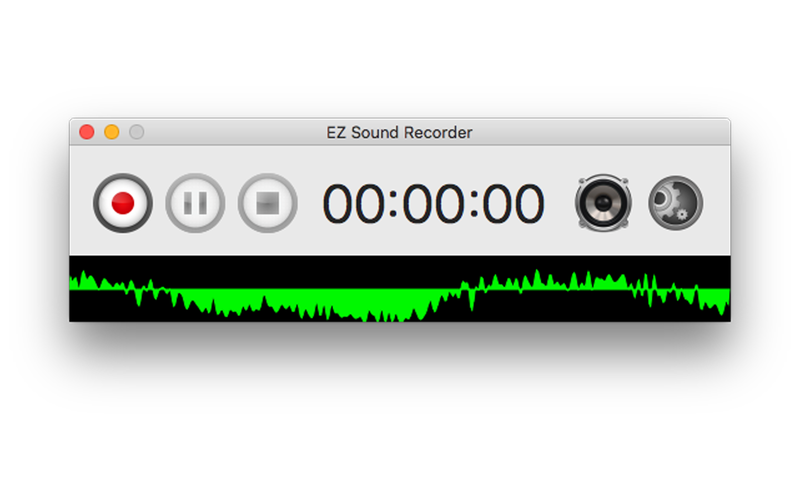 After you purchase EZ Sound Recorder it may be used indefinitely. 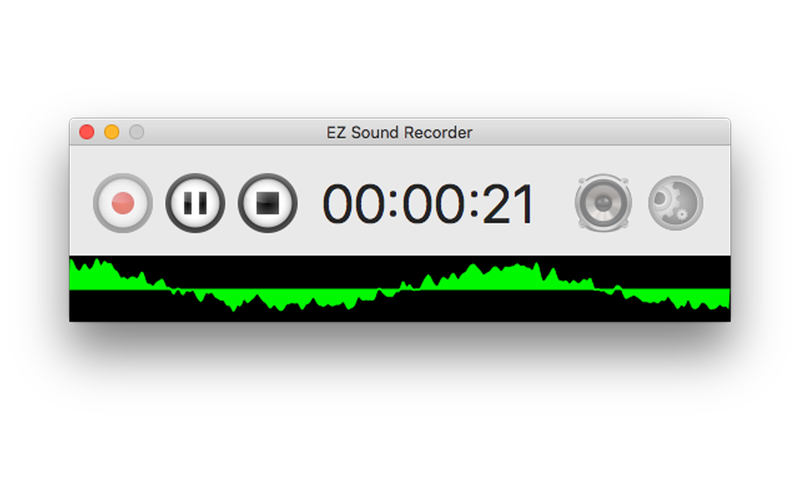 EZ Sound Recorder is licensed per user, so if more people are going to use EZ Sound Recorder you will need to purchase additional copies. Each license allows installation on 10 computers, and EZ Sound Recorder may be used at exactly the same time on each of them.